Which Link Building Strategies Should You Use? In order to increase your ranking in Google searches, you have to have links to your website from others. You do need to take extra care though to make sure that you build the right kind of links from the best sources. Here’s an overview of some link building strategies and which ones you should consider using. There are two types of paid links. Overt paid links are those that are from websites that openly say that they sell links. You do not want links from these types of websites because Google has openly said they do not like paid links. Since Google does not like paid links, this type of link could lower your ranking. Covert paid links are from websites that you have approached on your own and asked to link to you for a monthly fee that you would pay to them. Examples would be a blog or someone that is popular in your community. A direct link exchange is when two or more websites link to each other for the sole purpose of increasing their own links. In order to avoid having their rank lowered because of link exchange, a three-way setup may be involved. In this scenario, Site A links to Site B, Site B links to Side C, and Side C links to Side A. This can also be done on a larger scale with more than three websites in the link exchange. 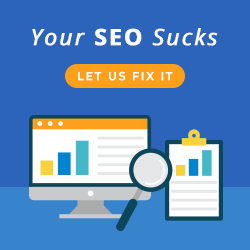 A lot of people familiar with SEO do not consider it to be worth the time involved just because there are easier ways to do it with the same or better results. White Hat Methods are SEO techniques that are “squeaky clean.” You would be perfectly comfortable with having Google aware of your use of these techniques. Gray Hat Methods are those which you are not so comfortable having examined by Google, but that you could deny having been involved with building the particular link in question. Some manufactured links and some covert links fall into this category. Here in Melbourne SEO Services, we use only the best legitimate link building strategies. Like us on Facebook to get the latest updates on our techniques. I have been ‘covertly’ 🙂 reading posts and watching videos from you …. I must say – to the point info about dos & don’t s of seo . I am (self proclaimed/local client indorsed) a seasoned local seo . I recently expanded my helping local businesses and I enjoy your post and videos. keep it coming STL,MO is watching ! I maintain a few blogs and I know how it feels to get spam comments every single day. What do I do with them? I delete all of them. Plugins like Akismet can’t always block spam that’s why some regular housecleaning is needed. That’s the same concern I have with Akismet Mj, it seems that it is not really working on some of my blogs now. Could it be that spammers are really discovering more workarounds on how to get through plugins like Akismet? Anyway, I also delete those ones, but doing this really takes a lot of my time. Got some proposals lately about doing exchange links but I decline all those requests especially when I sense that all they send to me are just templates and don’t have real clue on what my websites / blogs are about, not a great way to build links IMHO. “Hacking websites to include your links” – My first ever WordPress blog was hacked by someone. I only noticed it because I saw additional links on my sidebar which I was sure I didn’t put them there. I think WordPress blogs are vulnerable to hackings. The solution I know, at least for someone who’s less techie like myself, is to have a really complicated password. 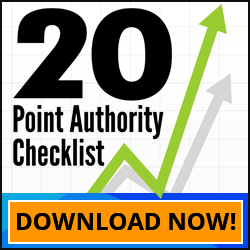 I’ve been looking for the best way possible to link building and this post is a great resource. I often use link exchange with my fellow bloggers to promote well our sites. I think paid links would just be an option if the site is really well known. In my case, I have been getting emails asking to exchange links, what’s worst is that I just found out (through comparing these email messages) that they have been using some templates to go with each proposal. They didn’t even find the time to check what my website is about. So I do not really deal with these guys if they don’t even have the time to see if their website is somewhat related to my niche. For now, I am only doing article marketing because that is the convenient thing to do for me since I cannot hire someone to do these other linkbuilding tasks for my website. @Lian @Nil. Aside from changing passwords, you also need to make sure your WordPress version is updated. I’ve been told hackers can easily get into blogs that run on old versions. Mine used to run on a very very old version because I was afraid to manually upgrade to the latest. I’ve been a constant victim of hackers in the past, but life has gotten better for my WP blog after I upgraded.